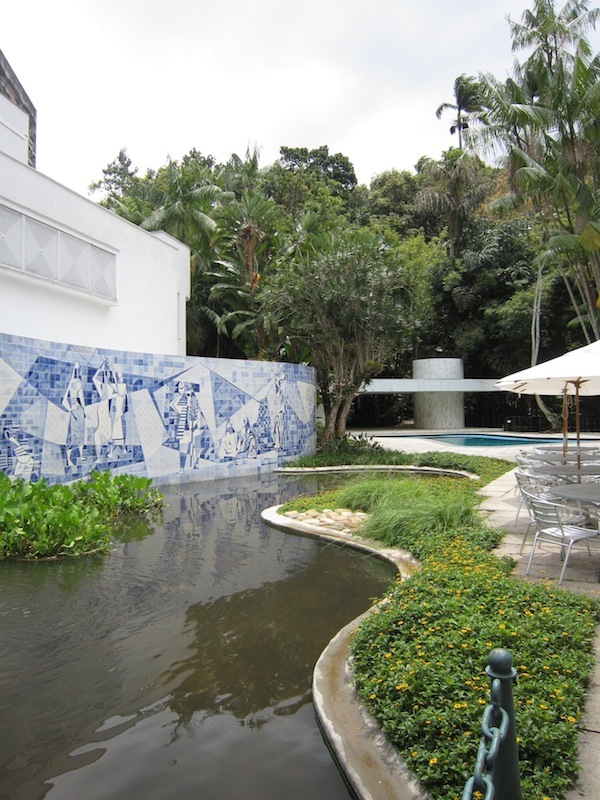 This building and garden was once the private residence of the Walter Moreira Salles, the wealthiest man in Brazil and a banker/philanthropist. 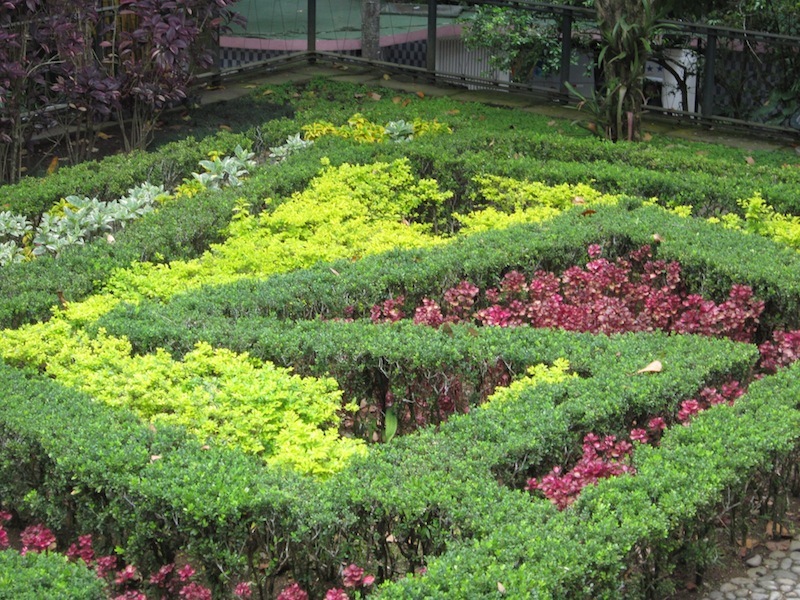 The building is now a film, music and theatre museum but the garden is largely intact. 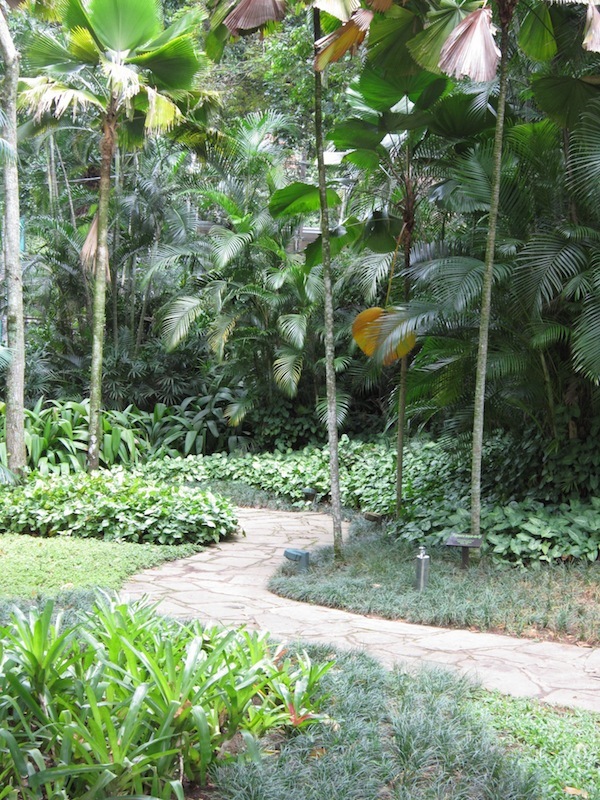 It bears many of the hallmarks of modern tropical garden design – massed plantings of soft perennials, curving sinuous paths, pools and Burle Marx’s signature blue mosaic walls. While it may look familiar it is refreshing to see one of the originals. The house dates form the 1950s and is a fine example of modern residential architecture. 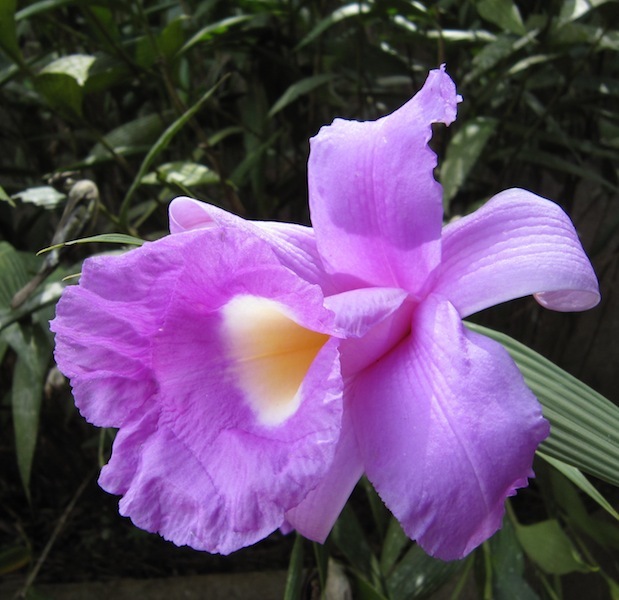 The garden is on a sloping site that sits comfortably with the surrounding remnant of Atlantic rainforest, the Thijuca national park Parque Nacional Tijuca. The architecture is important because the garden was designed in sympathy with it. A simple iron railing frames diamond shaped marble pavers and white painted concrete screen and on side, is a modernist take on a traditional parterre with Duranta repens and buxus in-filled with caricature plant (Graptophyllum pictum) and bloodleaf (Iresine herbstii). Beyond the house is a quite large garden comprising a paved area where pool, pond and a formal courtyard with a marble Chinese dragon sculpture and a natural section intersected by a stream with a wilderness planting style. This is quite a contrast to the more formal living spaces. 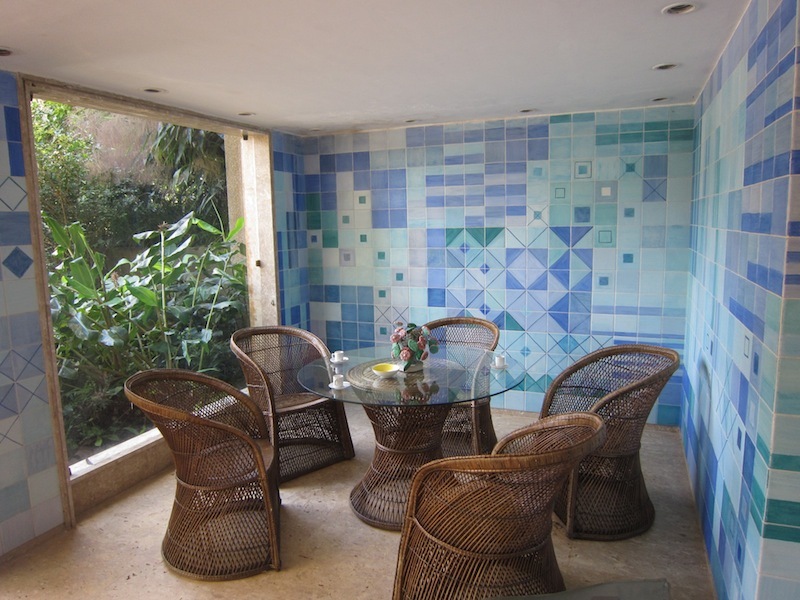 Nowadays there is a café with outdoor seating beside the Burle Marx tiled mosaic. 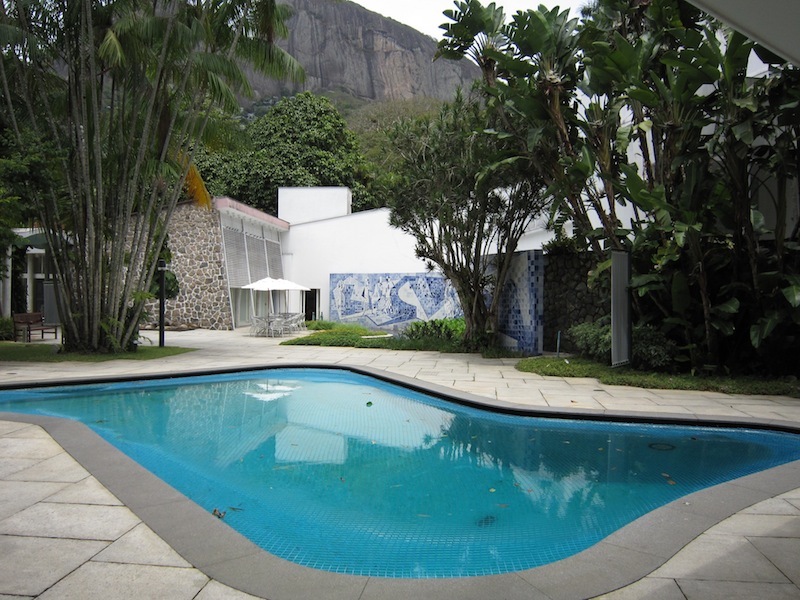 Edmundo Cavanelas Residence, near Petropolis, Brazil now owned by Gilberto Strunk.The famed architect, Oscar Neimeyer who died recently, designed the house and gave it its wing like roof structure. 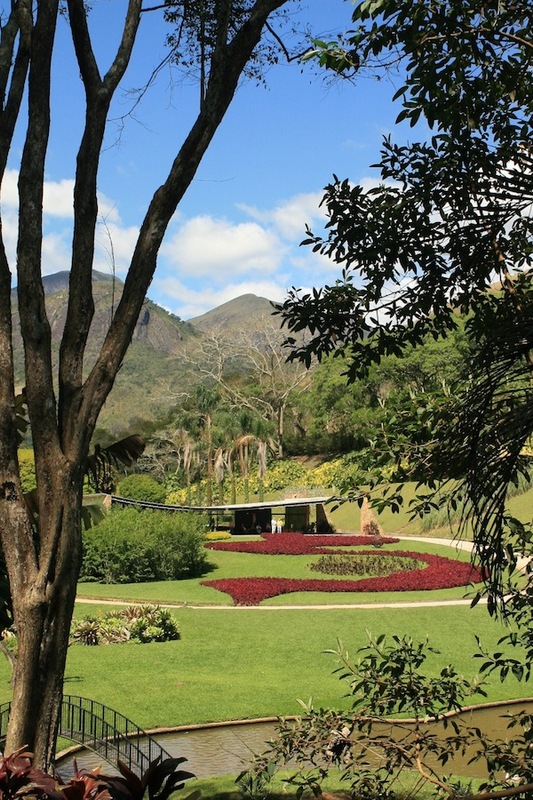 It forms the central focus of the garden and determined the abstract planting forms devised by Burle Marx. 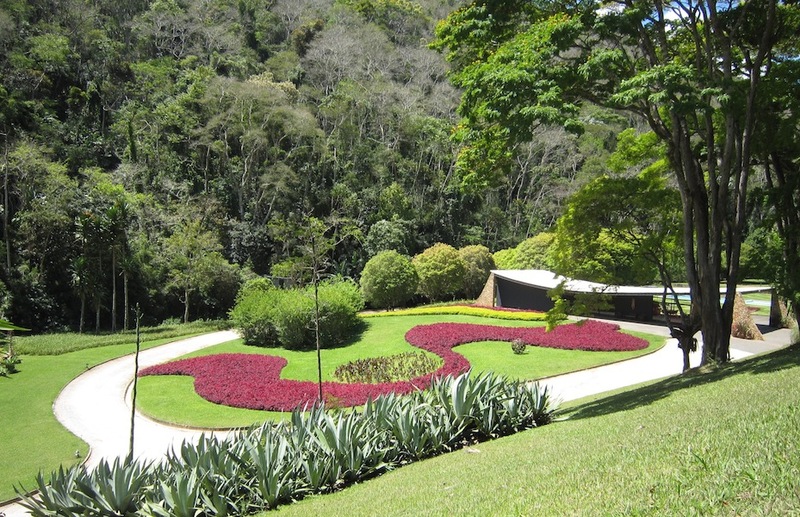 The garden occupies a large valley – on one side, natural forest covers the slope, grass and trees on the other. 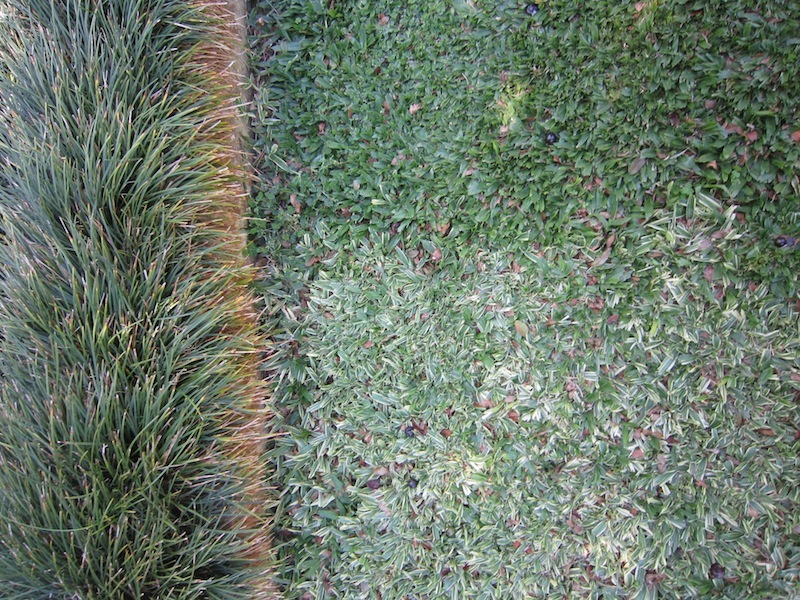 Viewed from above, we see a chequerboard pattern made from green and variegated forms of Stenotaphrum, known as buffalo or St Augustine grass, plus modernist parterres of red iresine and lime green duranta. In front of the house large sweeping forms planted with red iresine create a sweeping visual feast before the large pond lined with orchid-strewn trees with the water’s edge populated with waterfowl and plovers. A walk beside the pond takes you to the forest walk with tantalising views back over the painted landscape. 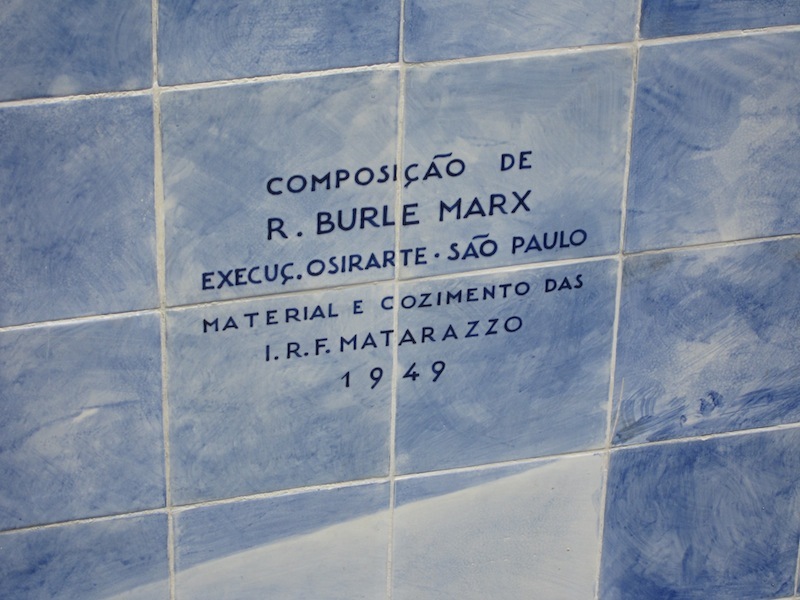 It is this broad-scale work for which Burle Marx is most famous and this is a striking example. 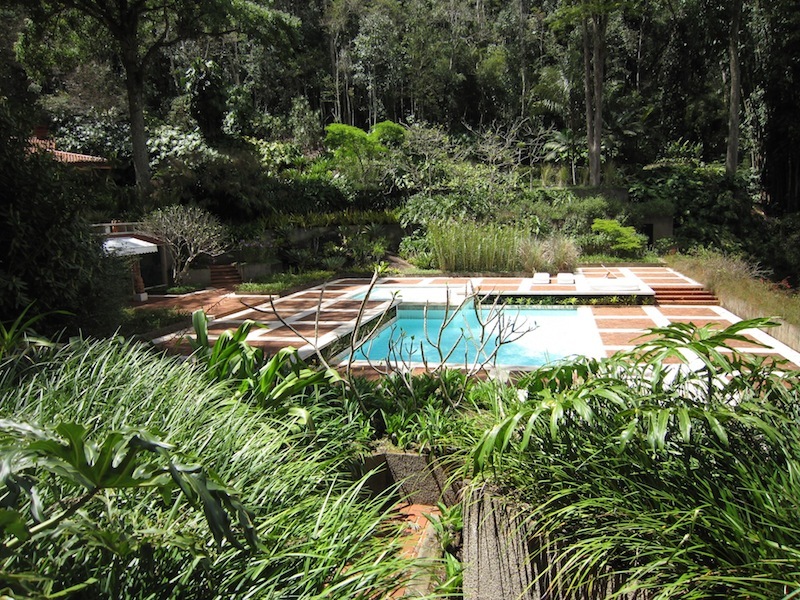 Architect, Raul de Souza Martins is owner of this garden and a proud owner too. His small, but perfectly formed house and its large garden shows all the signs of being cherished both for the beauty of its design and for its heritage. A very steep drive is the way in to the property. I walked up through the forested setting to see the full volume of the valley in which is situated and panoramic views of the house, garden and pool. The house fills a level space below a high hill so steep that when a favela started to encroach on the site, a landslide carried the shanties down the hill to the back door of the house. Needless to stay, the favela is confined now to the other side of the peak. 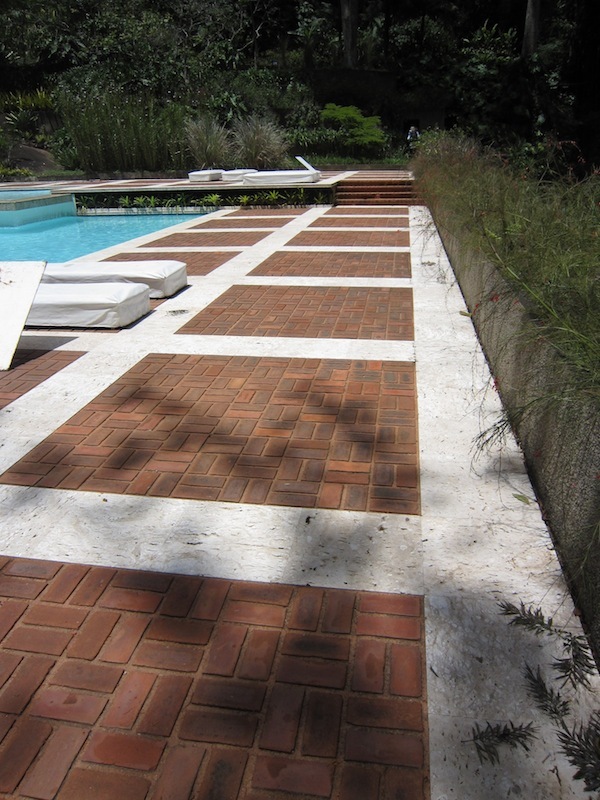 Banks planted with colourful shrubs, trees and climbers and level areas around house built by means of a cantilevered slab creating terraces that lead down to the pool and pool house. The garden occupies two levels surrounded by native trees and palms. On upper level are native Weddel palms (Lytocaryum weddellianum syn Microcoelum weddellianum). One of my favourite plants, golden candles (Pachystachys lutea) and coral plant (Russelia equisitiformis) surrounds a multilevel waterfall. Interplanted among large drifts of these are the striking pink and orange-flowered coral aphelandra (Aphelandra sinclairiana) and Mexican lily (Beschorneria youccoides). We also find Tibouchina granulosa, yesterday, today and tomorrow (Brunfelsia uniflora), Brazilian red cloak (Megaskepasma erythrochlamys) with old-fashioned foliage plants, boldly planted Philodendron bipinnatifidum and Monstera deliciosa, looking amazing and nostalgic. 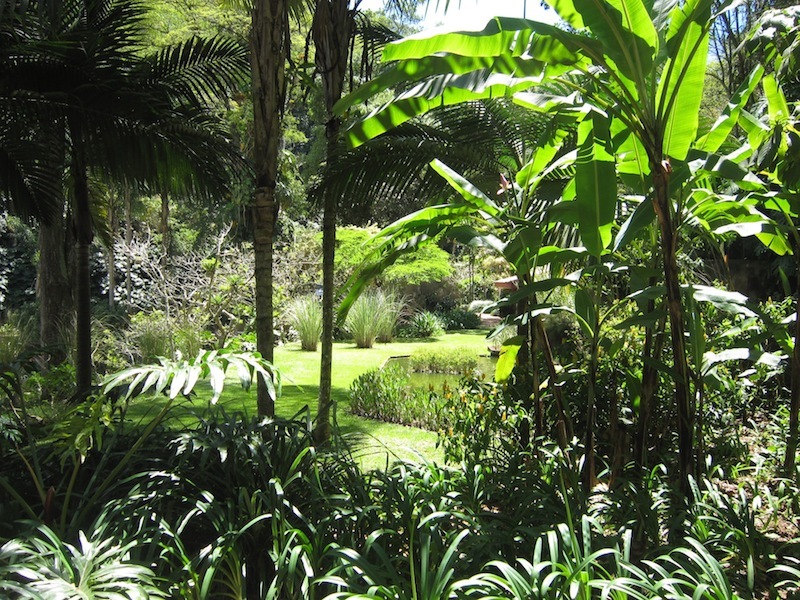 Most of the plants are very common and popular in Sydney gardens from the 1950s till now, but first used in Burle Marx gardens. 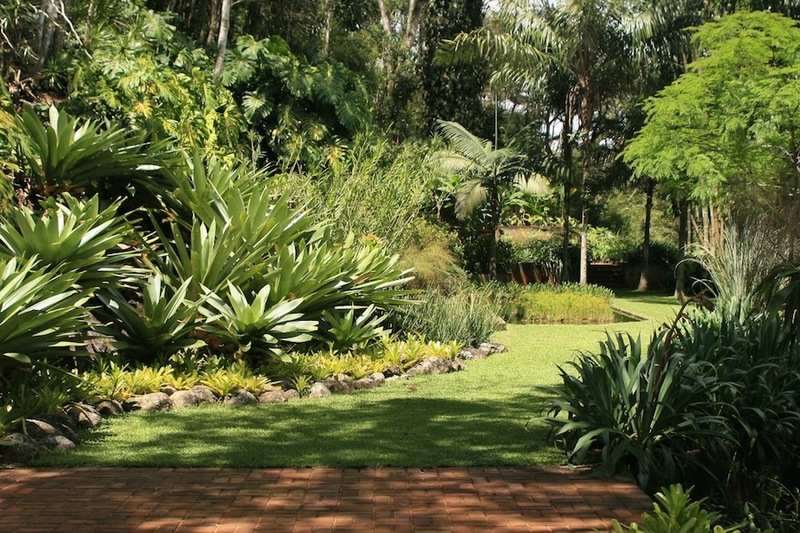 Stunning gardens with stunning “borrowed landscapes”. 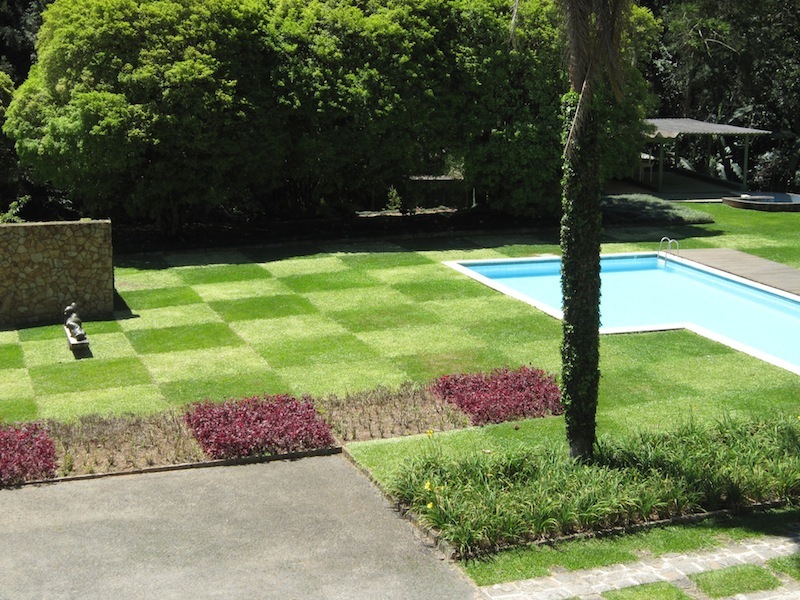 I love the abstract garden in front of the Edmundo Cavanelas residence but when viewed from above (as in the first image) it is so bold that it almost overshadows the house. In the second image where the Iresine leads the eye to the house it appears more balanced. When you were there did you get any sense that the garden overpowered the house? Linda, interesting you should make that observation. In fact, the sweeping iresine beds did not appear to dwarf the house at any point. The house is actually quite small and the garden occupies the full width of a deep valley with forest either side. I think what you perceiving is a trick of the camera where I was trying to capture the full expanse of the painted landscape in front of the house. Unfortunately, the duranta parterres along with the cannas, at the time of my visit, had been heavily pruned and normally they help to balance the design in front and back, but they did not make a great picture. Sometimes, there is a compromise between art and life. The roof is what gives the house its presence and from most points of view it is visible, a counterfoil to the great sweep of the valley. From memory, I think the pedestrian answer is that I obscured part of the left side to block a large group of people. However, when in the garden, the glass walls of the house help present both sides of the garden from either rear or front vantage points. Without very good equipment and ideal weather conditions, the cameras I was using were not able to display this. It was late morning to early afternoon and the sun was high in the sky making photography less than ideal. This is a very photogenic space but it is also a great garden to experience. The forest and lawn walks accentuate this and give the viewer multiple perspectives. Thanks for your comprehensive reply Paul. 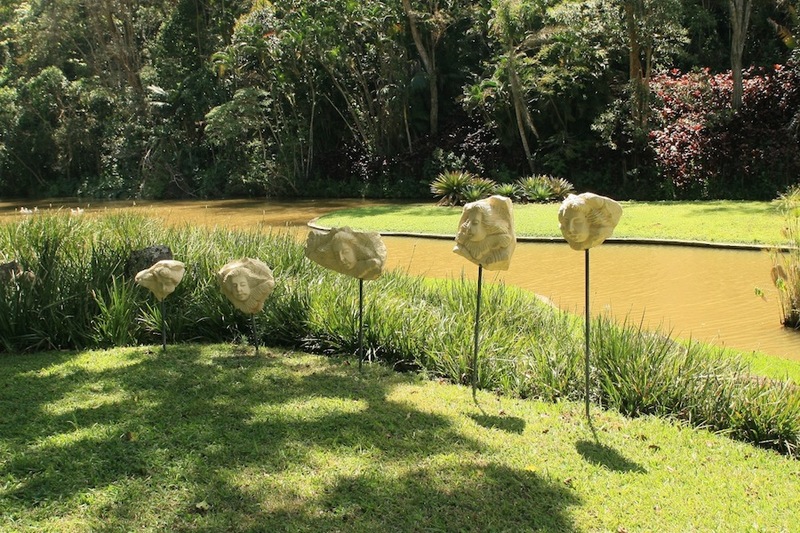 Thanks also for the interesting article and photos which do convey the superb design and beauty of the gardens – doing the South American Garden Tour is high up on my wish list!